Millennium is offering the best environment in Switzerland for your company. More than just the best place to work, though, this is a movement toward a new way of living. Millennium redefines success measured by personal fulfillment. A place where prestige and innovation reflect the success and creativity of your company. We empower your company by providing the best place to create, share and live your life at work. We look after each other and care about your company, which makes working at Millennium extremely rewarding. Millennium brings energy to everyone. You will have the most advanced technologies at your finger tips. Millennium is a digital environment that creates the best place to work. We bring the most advanced technologies to everyone. Always efficient, easy and secure to simplify your professional life. Everywhere inside Millennium, you communicate and connect at the highest speed. Intelligent digital signage displays support your communication where you need it and provide real time building info. Best security standards and biometric physical access controls are guaranteed. Your work space is maintained at perfect temperature and air quality. Millennium has a 24/7 climate control. In terms of energy efficiency, the glazing of the building adapts automatically to the outdoor sunlight conditions reducing energy used for heating or refreshing. Millennium is efficient by design, so you experience a perfect comfort. 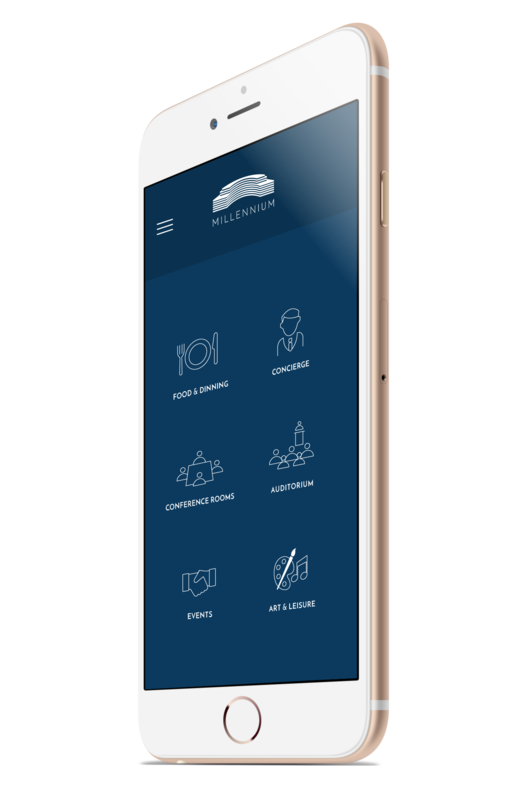 Millennium is designed to offer tailor-made services for you, your guests and your company employees. Millennium manages a concierge service that takes care of all your requests for your business as well as your travel arrangements or personal demands. Millennium supports you with day care for your children and a large range of exclusive services and activities. Anything you need is available on-site, like catering, best in-class fitness with trainers, dry cleaning, ATM, daily cleaning, shopping, 3D and 2D printing, hair salon, packing, posting, shipping, car wash, 500 parking places with electric charging stations and much more. Millennium also hosts a dedicated secure data center with ultra-high-speed fiber optic Internet to connect your servers and computers. Wi-Fi is available everywhere in the building, even in the parking levels. A safe room to store your most important information or assets is also at your disposal. Millennium gives you access to a choice of 3 restaurants, 2 bars and one lounge for lunch time and dining. You can order any kind of fresh food to be delivered anytime at your workplace or directly in your meeting room. Moreover, Millennium hosts an exclusive 500 seats theater and a separate ballroom. No other place can offer you such a unique environment to organize special events. You can access to the Millennium Conference Center 24/7. With more than 10 conference rooms accommodating up to 50 seats with large digital displays, you are at the best place to create and share your projects. Millennium offers you the best environment for your business meetings and conferences. Millennium is designed to offer tailor-made services for you, your guests and your company employees. Millennium manages a concierge service that takes care of all your requests for your business as well as your travel arrangements or personal demands. Millennium supports you with day care for your children and a large range of exclusive services and activities. Anything you need is available on-site, like catering, best in-class fitness with trainers, dry cleaning, ATM, daily cleaning, shopping, 3D and 2D printing, hair salon, packing, posting, shipping, car wash, 500 parking places with electric charging stations and much more. Millennium also hosts a dedicated secure data center with ultra-high-speed fiber optic Internet to connect your servers and computers. Wi-Fi is available everywhere in the building, even in the parking levels. A safe room to store your most important information or assets is also at your disposal. Millennium gives you access to a choice of 3 restaurants, 2 bars and one lounge for lunch time and dining. You can order any kind of fresh food to be delivered anytime at your workplace or directly in your meeting room. 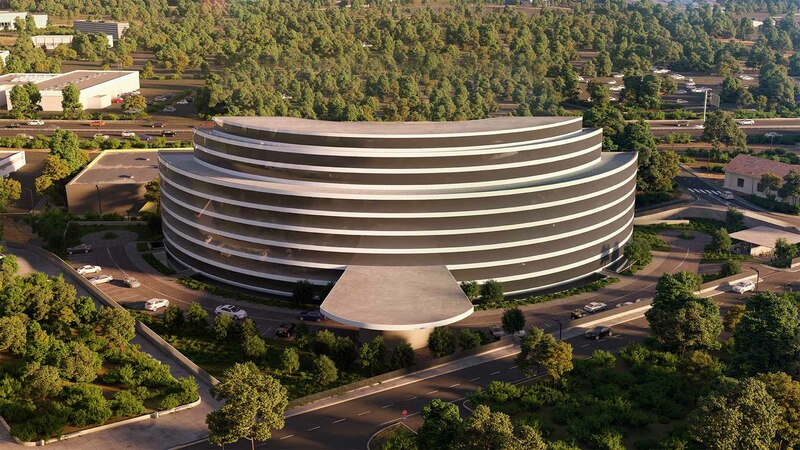 Moreover, Millennium hosts an exclusive 500 seats theater and a separate ballroom. No other place can offer you such a unique environment to organize special events. You can access to the Millennium Conference Center 24/7. With more than 10 conference rooms accommodating up to 50 seats with large digital displays, you are at the best place to create and share your projects. Millennium offers you the best environment for your business meetings and conferences. 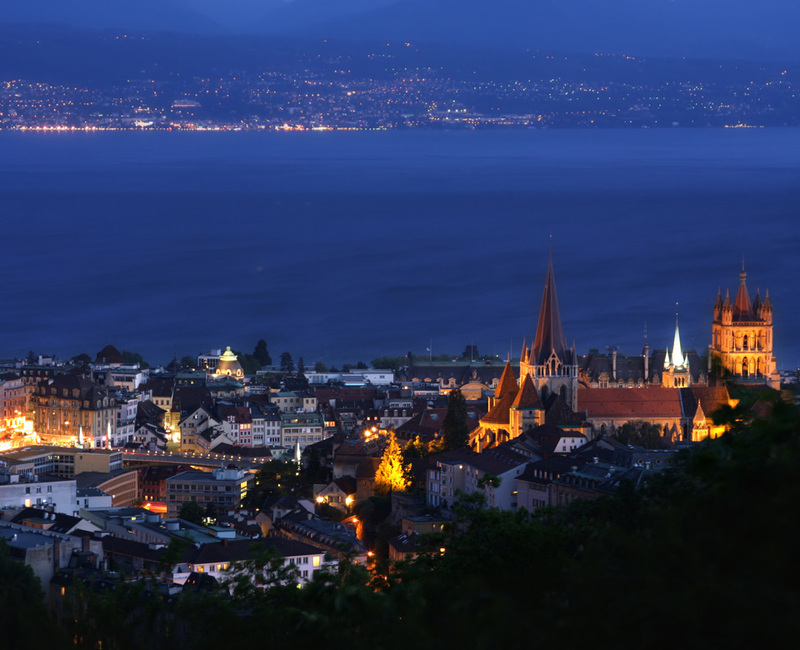 Millennium is perfectly located in the heart of the Lake Geneva Region, directly at the intersections of major highways, close to Lausanne and the world-renowned EPFL University. Most prestigious multinational headquarters are in the same area such as Nestlé, Novartis, Philip Morris, Ferring and the International Olympic Committee. Access is immediate in less than 45 minutes from Geneva or Bern, and less than 25 minutes from Nyon or Montreux. A heliport is also available on site. The extension of the future T1 Tramway offers flexibility to use public transportation for the daily commute. Several bus routes link Millennium directly to the heart of Lausanne and its surroundings. Renens train station is at less than 10 minutes walking distance and has direct connections to all the major cities in Switzerland.